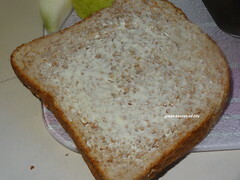 Apply oil/butter on one side of the bread. 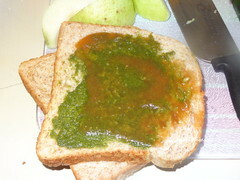 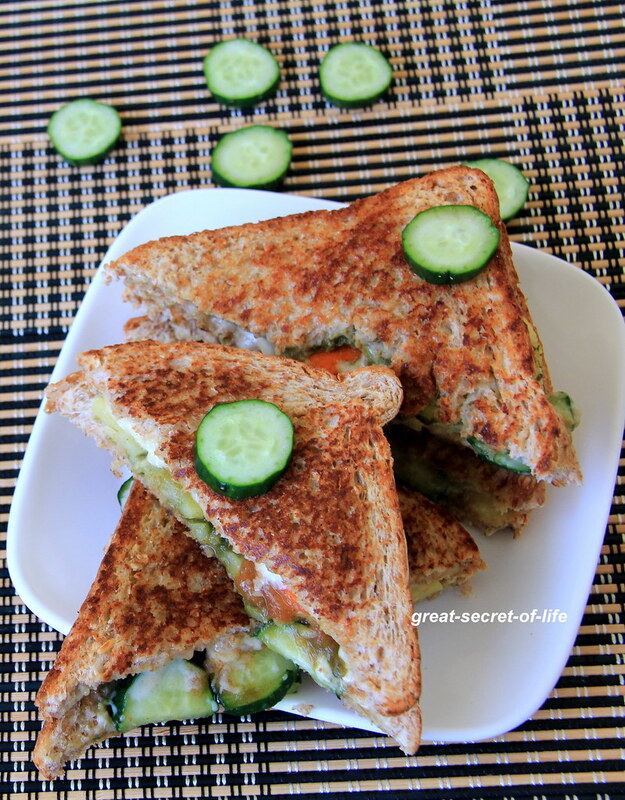 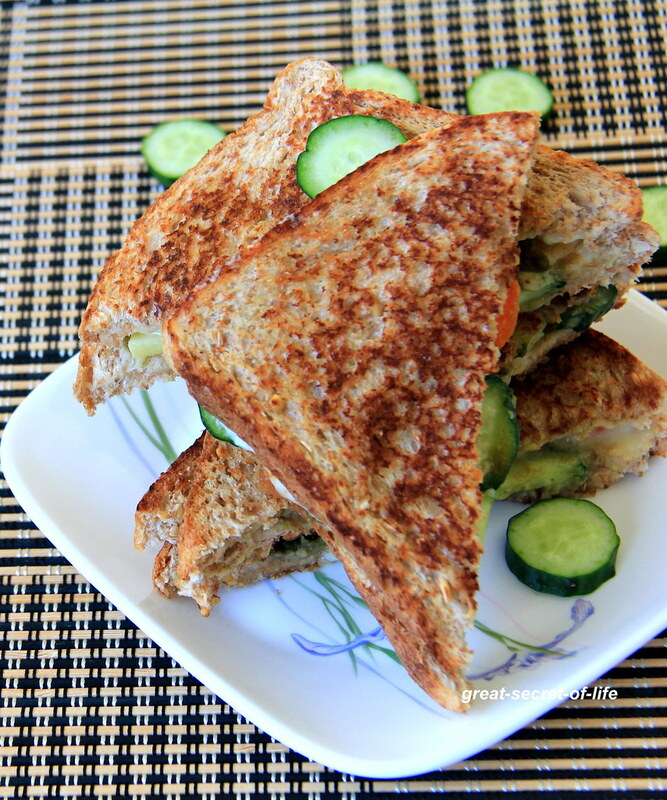 In one of the bread (non butter side) spread green and sweet chutney. 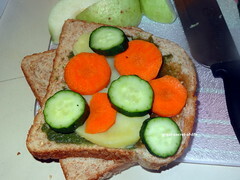 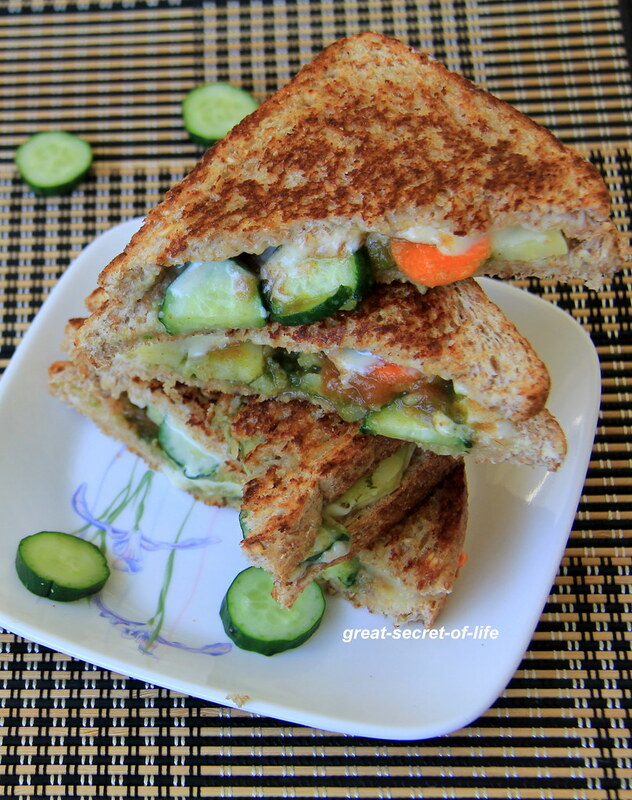 Place few carrot , Cucumber and potato piece. 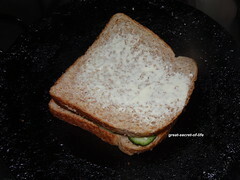 Heat flat pan. 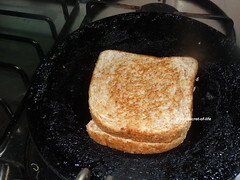 Place the bread in such a way that butter side touching the pan.Place the cheese if using. 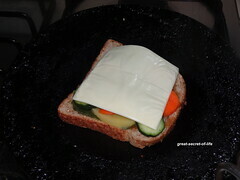 Lovely ,filling sandwich with all the vegetables.